In a rarely seen act, a pregnant chimpanzee has adopted an orphaned baby chimp. This “unheard of” case happened at Monarto Zoo in Australia after the baby chimp called Boon – whose name means "a timely blessing" – was left orphaned when his mother Soona died shortly after he was born on Friday, October 9th. A male chimpanzee called Gombe helped to care for the newly born chimp, before a pregnant female named Zombi adopted him after having stayed by Soona’s side while she died. 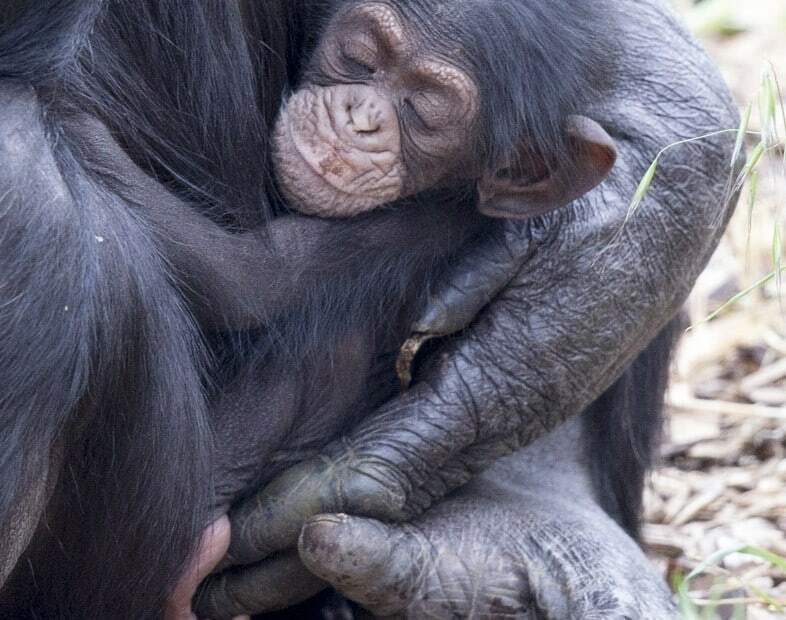 Although there have been examples of chimpanzees adopting orphans in the wild, it is extremely rare to hear of a pregnant mother adopting an orphan in captivity. In a statement from the zoo, senior primate keeper Laura Hanley said, “The last few days have been a whirlwind of emotion, but the silver lining is that our little Boon is doing incredibly well considering his rough start to life. Zookeepers are optimistic that Zombi will be able to care for both Boon and her own infant. They also added that the one-week-old chimp is “strong” and “healthy,” which is thanks to the care given by his new mother.